Did you share an apartment and one of the tenants moved out? Lost your office or home key? In such occasions, what you need is to rekey the lock. If someone not living in your house or a perfect stranger has your key, you might be faced with intrusions. Since the intentions of people are unknown, it’s best to play it safe by contacting our company to rekey locks in White Rock, British Columbia. We are qualified, licensed, and trained experts and can help you urgently. What’s inside your cylinder locks? There is a whole mechanism hidden inside your cylinder lock. This is often called a pin and tumbler lock. It utilizes a combination of tiny pins, which are pushed up and down from the key in order for the door to either lock or open. The upper pins must go over the shear line in order for the cylinder to turn. If the key is not right, the pins won’t move out of its way and the door won’t open. And so if a stranger has your key, the door will open. For the avoidance of invasions, call us to rekey locks at your home or office in White Rock today. So what happens during lock rekeying? Since the intention of lock rekey services is to keep unauthorized persons from using your original key to come in, our job is to change the key. But key change requires some lock changes too. If the key is different from the original one, it won’t fit in the lock. And that’s what lock rekeying is all about. We remove the lock to change the pins of the cylinder and use the appropriate key replacement in order to cut it to match the new lock configuration. Each lock only works with one key unless it’s a master lock. In the case of a master key system, the configuration is different to allow the entrance of both the master and servant keys. 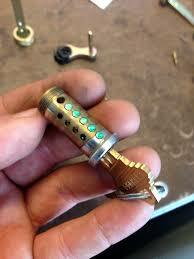 So whether you need such modifications or simply to rekey locks in White Rock, turn to us. 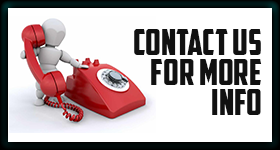 Call us now for urgent requests.